Notice: First smile to them is very important, it will be help you build a good impression in their mind at first place, and it will be much easier for you to gain their trust afterwards. Notice: Don't be bothered by Chinese Translation, it may not so fit of our speaking habit, the most important thing is knowing the meaning of it. From Perspective of English, it will be the most confortable, natural expressing way for the guest to accept. 講解引入:Hello,(...). (Shaking hands)See? What a small world. We finally meet after a long waiting and expectation. I'm (Name). Really nice to see you (Guys),Hope you had a pleasant flight. (Now, Let me help with the luggage). It was rainning(cloudy)for some days in a row, I m very happy it will stop from tomorrow-the first day when we travel. so I have to say: you guys are very very lucky. 講解引入:Guys,This is our Mr.Drive,...Very nice guy and Drive well too. Let（...) Arrange the lugagge. he knows better to do it.Now we just get on the van. OK? Well. Guys, First of all. Big Welcome to my beautiful home--Zhangjiajie, Hunan Province. During (時間) hour/minutes,(距離)km's drive to (Hotel/scenic spot). Please allow me to do a formal self-introduction and tell you some information about my wonderful place. Ok. My name is (Full Name), You can call me (Name), I'm a local girl/boy who grows up here and has been guiding for(年份) years. It's a fun job. It's really unbelievable that you come such a long way from the other side of the world, and meet me here. and I'm very thankful to have this once in lifetime chance to show you around as your guide and help you understand and enjoy this new and amazing wonder on the earth. it's a honor indeed. 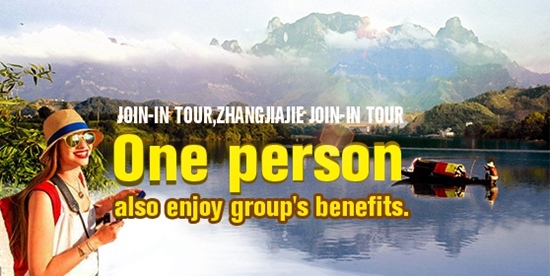 I'm sure, After this (天數) day's tour, you will be deeply impressed by Zhangjiajie's uniqueness and diversity both in terms of nature and culture. it will be a great travel experience for you to remember for life. Ok, Again. Thank you for coming eventually, you have fulfilled your promise to yourself and Dream has become reality. Now it's my turn to know you guys, First, from the name. Well, since I got everybody's name. I think we can call each other "Friends"now. Next, I think, it's time to know the last but most important name that we are supposed to pay a big attention to. That is the name of my hometown. and our trip starts from "Saying It Right." Now, who. but still sounds foreign. Here, Language lesson 1 begins. Now, repeat after me. Zhang! jia! jie!....Good...One more practice: (Zhang,jia,jie), say it again(Zhang,Jia,jie).then: Tell me where we are right now?(Zhang,jia,jie). Good Job. All pass. It definitely will a visual feast from nature. Now I've noticed that I have talked too much. here I stopped to ask you some questions to satisfy my curiosity. 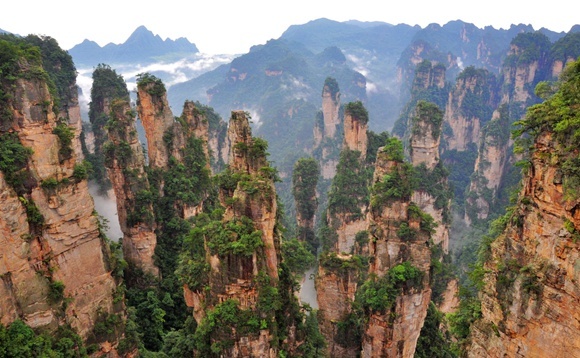 1 When is the first time you have heard about Zhangjiajie. How do you find this new place. how much do you know before you come here. 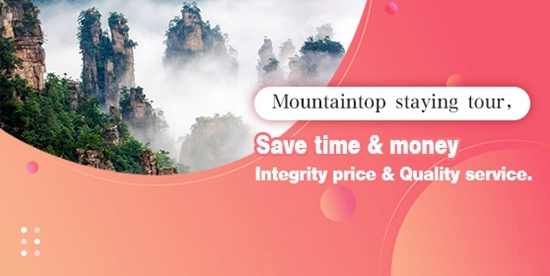 …I dare to say that your expectation for this tour is more focusing on the nature part of Zhangjiajie, like just to experience Avatar Area, or. and the other half actually is as amazing as the natural one, and it lies inside the local's memory which holds the cultural heritage passing on from the old generations of minorities. this part needs ears to appreciate. So I m very very glad that you made a wise choice to travel with the local people like me, otherwise you will be not able to fully enjoy my beautiful home from different sides. You know, I do see some people come and go,and travel alone without a local guide. even they study Zhangjiajie's very well before their tours, and make every step right, never get themselves lost in mountains. 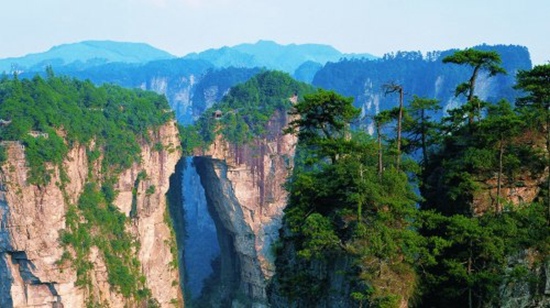 but Maximumly, they only enjoyed the half of Zhangjiajie visually with eyes. Zhangjiajie is a place of stories, Stories with historical truth and great creativeness are hidden behind every attraction waiting for listeners. 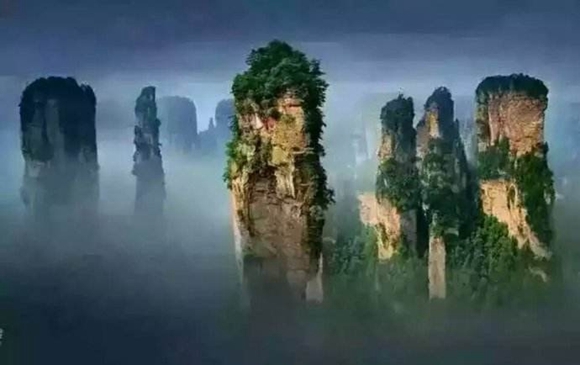 and Every one of them is worth a tell.Since you are with (Name).you will be able to travel much deeper with ears, and I will empty my knowledge to deliver you a complete beauty seeking tour in amazing Zhangjiajie. Just like all the attractions in ZhangJiaJie, the scenery is beautiful. 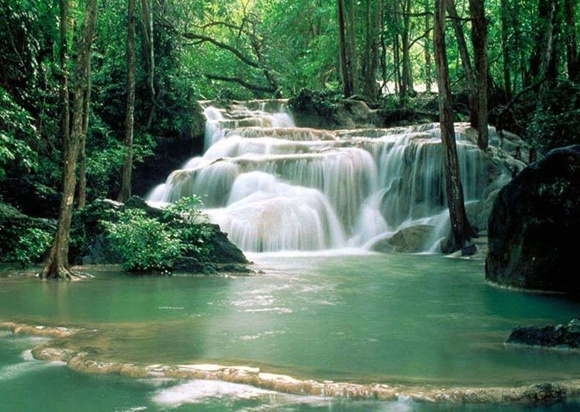 Everything is natural, untouched by civilization. The lake cruise is calming and you get to listen to local folk songs along the way. The hike to the lake can be a little difficult for elderlies as it's an upward climb. However, you can hire local men to take you up. You will sit in this chair that has 2 poles, two man (one in front, the other in the back) will lift the chair on the poles and take you up. 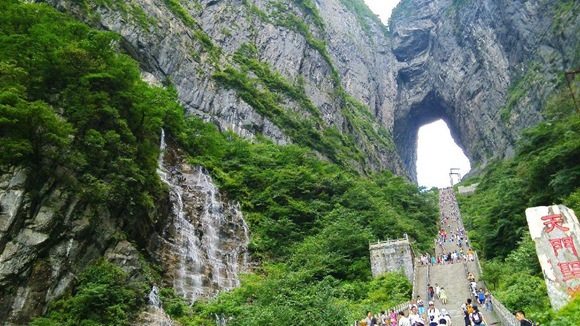 excellent views Tianzi (Son of Heaven) Mountain Nature Reserve Located in the northern part of Wulingyuan, Tianzi Mountain rises 1,262 meters You can take a cable car to see these charming sights. In order to protect the natural environment, tourists can take environmentally friendly buses in some parts of the Scenic Area. I wish you have a good trip in Zhangjiajie. Zhangjiajie City located in the abdomen of Wuling Mountain, at the northwest of Hunan Province.The mountain behind your head is the famous TianmengMountain. I believe you have the memory about the wonderful scenery when the planes flied through the Tianmeng Cave in 1998. This river you are seeing is Lishui Brook, originate from the Badagongshan Mountain in Sangzhi County, the hometown of Marshal Helong. The river at last arrive in Dongting Lake after winded about hundreds kilometers. 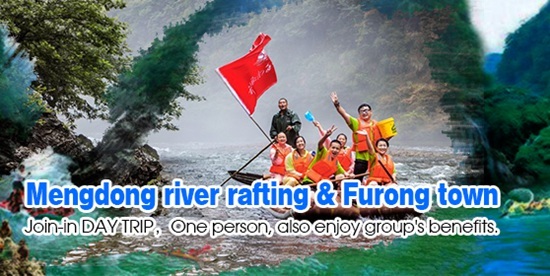 You can drifting in Lishui River and, you will enjoy her wonderful view. Our first station is Wulinyuan Scenic Zone in Zhangjiajie. 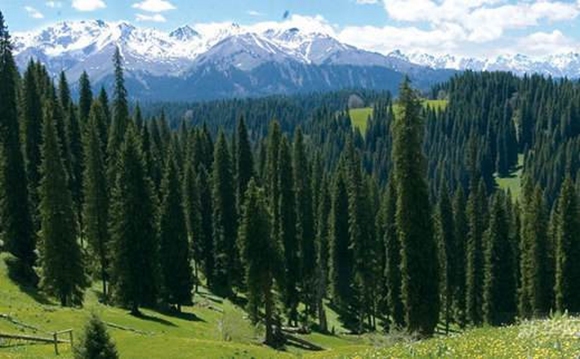 It is best known for its quartz-stand stone peak forest and ravines. Huangshi village W This is the gate of the park. On july 28, 1992, the officials of UNESCO high praised this gate when they past it because they considered the gate is a perfect combination of cultural sights and natural scenes. You will regret about that you never visited Zhangjiajie if you do not visit the Yellow Rock Village. Yellow Rock Village is the most important sight in Zhangjiajie National Forest Park. Zhang Liang, a high official of Han Dynasty and he is very famous in Chinese history. He had visited Zhangjiajie when he retired. Huangshidgong, Zhangliang's master, saved Zhangliang's life when he was besieged by official soldiers. Huangshi/Yellow Rock village is named after this story. A Quiet Way In China Fir Woods. There is a single road to climb Huangshi This road was made by manpower more than ten years before. 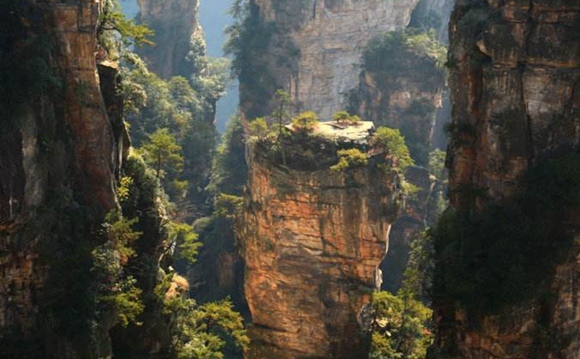 Zhangjiajie National Forest Park is the first national forest park in China. 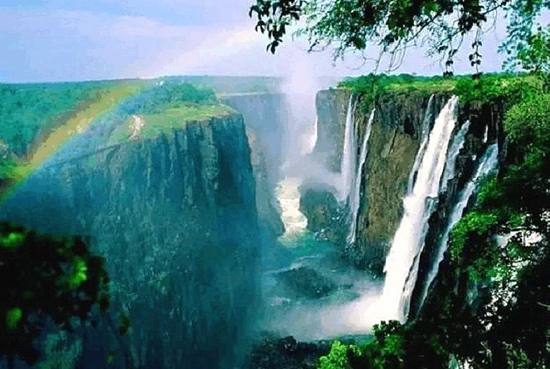 From then on, just 100 years past, there are more than 1200 National Park in 100 countries. National Park became avery important policy toprotect our environment. This is the first sight spot of Yellow Rock Village. There is a headman of Tujia nationality in Zhangjiajie, his name is Xiang Dakun, once roseup at the Stream Winding Around Four Gates because he do not satisfied official press of Ming Dynasty. 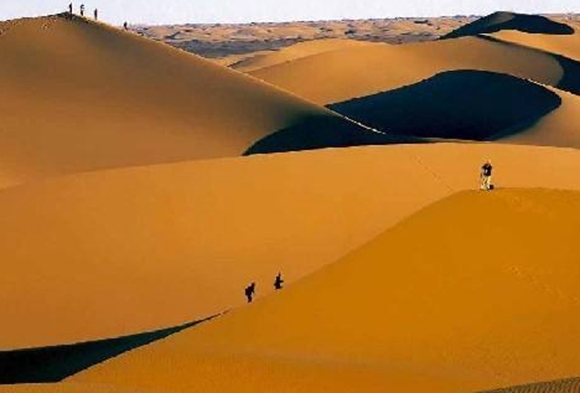 Zhu Yuanzhang, the first emperor of Ming Dynasty, sent General Yangjing, General Dengyu lead five hundred thousands soldiers to put rise down and Xiang King sacrificed at Shengtang Gulf at last. Dianjiang Platform is a King Xiang's parade-ground place. REASUE-BOX FOR CLESTICAL BOOKS. Look! There is a wonderful rock on the top of the peak, do you think it like a opened box? In the local folklore, this is a book box of King Xiang he had treasured up his tactics books presented by Zhangliang. That is said who can get this book who will be the king of the world. Zhangliang present him with this book. he wish him become a good king of the ancient China. But he just read several pages, a Tortoise stolen his books. Then, nature's mystery had been revealed, king Xing destined to fail. The author is unknown,if the copyright dispute,please contact us by mail,Thank you for your understanding and support! Good Morning, (Name or Guys). You look so fresh in another day. How are you doing? Did you enjoy your breakfast OR sleep well? 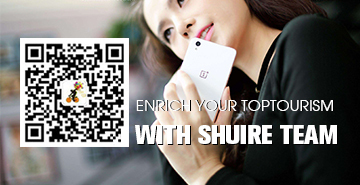 Any interesting things happened when you were on your own yesterday? 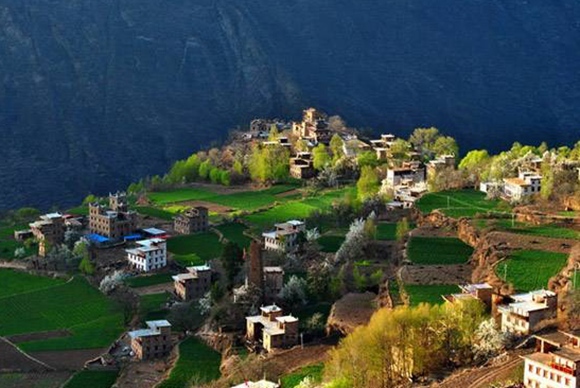 Jinbianxi is one of the most beautiful valleys in the world. It is about 7.5km long and 30-50m wide. 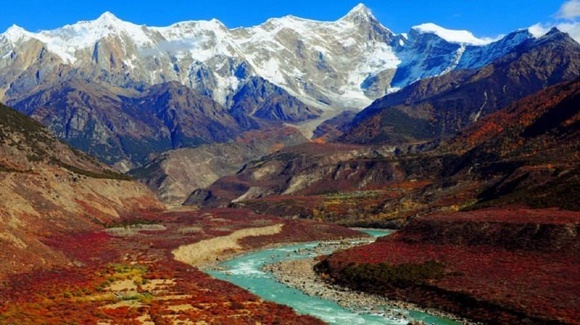 Jinbianxi is like a blue silk ribbon around the matchless beauty, which displays the beauty of "3000 strange peaks and eight hundred fine waters" to the utmost.